His entire livelihood is based on two buffaloes, two oxen, a cow, and six goats, along with whatever he can harvest from his field. He earns 6,000 rupees (US$62) a month. He is not alone. According to the government, 87 percent of the country’s 27 million people keep some form of livestock at home. With 5.8 heads of livestock and poultry per household, Nepal has one of the highest ratios of livestock to humans in Asia. But despite its importance, it is a sector in decline. At the same time, given the local tradition of equating wealth with the number of animals one has, many farmers keep animals that are less than productive - despite the obvious cost implications of taking care of them. Experts attribute low productivity to historically weak livestock practices by farmers, the genetic inferiority of local breeds, and weak government policies. For example, according to ADS, while breed improvement programmes started more than 50 years ago, a draft breeding policy remains “under review”. Farmer behaviour can also impact livestock productivity, they say. “Many Nepali farmers have been using the same livestock husbandry practices for generations without thinking systematically about labour costs and inputs, or potential economic benefits from the animals,” said Keshav Prasad Sah, animal wellbeing programme manager at the Nepal office of Heifer International, an organization that provides livestock and technical training to farmers. As a result of poor productivity from local animals, each year Nepal imports thousands of stronger breeds from India. While official figures put goat imports from India at about 500,000 per year, Sah estimates it is closer to one million, given the frequency of undocumented or informal goat trading across the 1,690km porous border. “People prefer Indian goats because they have more meat on them. They are a better breed,” Sah explained, saying that while the genetics are a strong factor, a small part of the disparity can be attributed to how the animals are raised. Aiming to curb goat imports by up to 30 percent, Heifer runs a month-long training programme for Nepali farmers and community animal health workers (CAHWs) featuring topics ranging from how to find forage and shed construction, to identifying the symptoms of common diseases. “Well-managed livestock can change the lives of farmers, their families, and their entire villages and district. It just depends on higher and more stable productivity,” Sah stressed. According to government estimates, only 10-20 percent of all livestock are commercially managed - the rest are owned by small farmers. 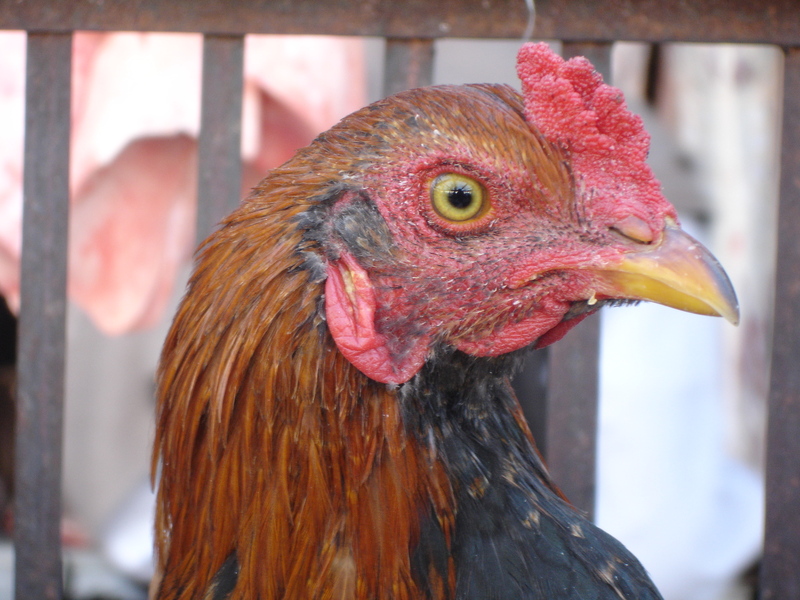 Only poultry figures are higher at 40-45 percent. Access to health services for livestock remains a major problem for farmers and animal disease has resulted in millions of dollars of economic losses in recent years. The problem is compounded by the lack of proper breeding and animal husbandry practices. Government agricultural extension service offices have been established in all 75 districts of the country, but it is estimated they reach only 15 percent of farming households. And while the Nepal Veterinary Council has registered 698 veterinarians in the country to date, nearly 73 percent of villages remain without government-supported services. “We’ve made progress, but huge challenges remain. We’re still not in a position to provide services in all areas,” the government’s Rajwar said. Most of the more than 5,000 “village animal health workers” (government employees) report being technically ill-equipped and under-utilized by local farmers. “We’ve seen farmers who get a new goat and then six months later complain that it’s too skinny and not producing milk. 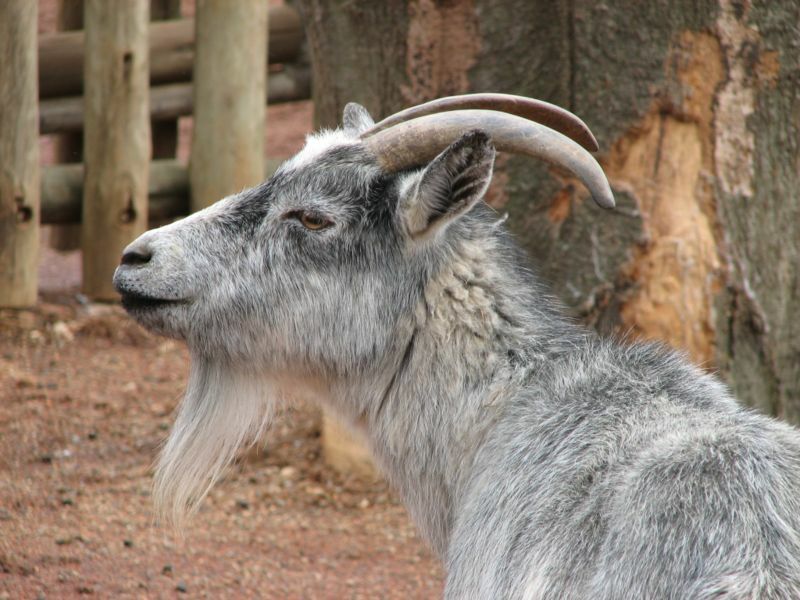 When we visit the farm, we see the goat has no shed and is freezing at night,” said Heifer’s Sah, who is a veterinarian. “It’s these little details about livestock care and identifying when an animal is sick that we have to bring with the animals we provide,” he said. Farming cooperatives - originally touted for helping smallholder farmers access markets - can also pave the way the way for access to veterinary care. “Cooperatives are a two-way street: farmers come and report their livestock issues, so a vet can advise during regular visits, and development partners can track trends in what these farmers are complaining about so we can design training programmes effectively,” said Sujan Piya, head of the Agriculture, Food Security and Markets Programme at Practical Action Nepal. “It’s a much cheaper option for farmers than calling a vet from a city to come to their farm. The difference can be in some cases a farmer paying 50 rupees (50 US cents) instead of several thousand rupees to find out what is wrong with his cow,” Piya explained. Nepal’s widespread poor road conditions can limit market access and livestock feed delivery to rural areas, which means farmers have to rely on local fodder products to feed their animals. Such isolation can spell danger for livestock holders in rural areas. While experts say isolation can be partially mitigated by small-scale animal husbandry, local resources are now being stretched thinly by land inheritance fragmentation practices. There are at least 12,000 commercial poultry farms of varying size around the country. “The way families divide up land here means every generation has less to work with,” explained Sah, adding that for some communities this can mean migration for grazing becomes necessary, while the land crunch leads others to give up livestock. Farmers turning to local feed sources for their livestock face the historical stigma of grazing being associated with widespread forest degradation, a problem various forestry programmes have been trying to alleviate for decades. And animals’ roles in sustaining farms in rural areas must not be understated, experts warn. “Every year there is a call for chemical fertilizer, but what is less visible because the fertilizer often doesn't make it up [into the hills and mountains due to bad roads] is how the depletion of livestock leads to nutrient depletion in the soil as well,” ADS project director Shyam Poudyal explained. “When animal numbers go down in these areas, the soil suffers, as does all related farming,” he said. At the same time, the degree of isolation some farmers in Nepal’s hills and mountains face, experts say, means their future in farming might rely even more on the animals they raise. “Bad roads and other weak infrastructure in remote locations mean mechanization of farming isn’t possible in the foreseeable future,” said Practical Action’s Piya. Two-thirds of citizens rely on agriculture for their economic well-being and, according to the World Bank, the sector contributes 40 percent of the country’s GDP.